This page is intended as a source for those who are constructing their own Balsa Bridges and would like the specifications for the items used to test them. Measurements are included. 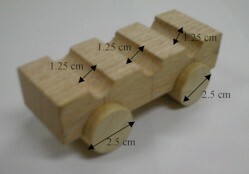 The pictures below contain the wood testing car model. Included are photo(s) with the measurements if you wish to construct your own. 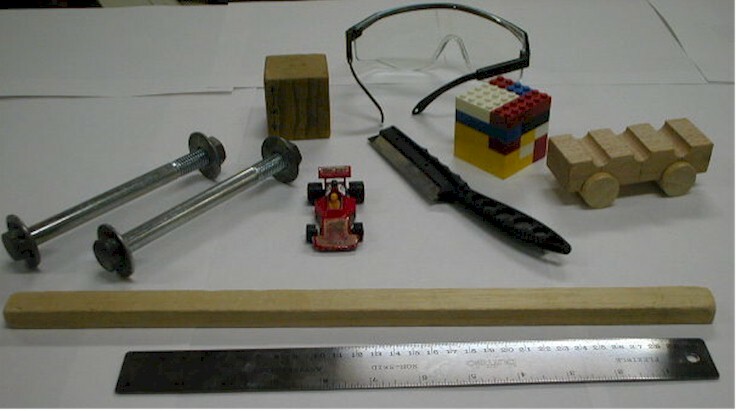 Ruler, Saw, Block ( wood or lego if wood is unavailable ), Safety Glasses, small wood beam, Hot Wheels ( or other small toy car), wooden test frame, metal bolts (2).